Greg Marchesiello completed his undergraduate degree at the University of Delaware and graduated as a Physician Assistant from Arcadia University in Pennsylvania. 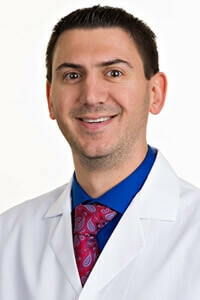 Greg specializes in the operative treatment of hip, knee, and foot and ankle disorders. He first assists in surgeries at St. Joseph’s Medical Center and helps deliver quality care to patients. It is his goal that every patient experiences a quick and healthy recovery after surgery.